Legal regulations and tax codes become more complex each year, and they make a world of difference in how non profit organizations form, operate, solicit donations, and more. 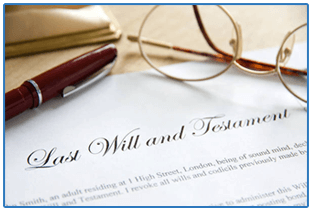 The same is true when it comes to providing for your families in both the present and in the future through estate planning and administration. For more than 20 years, I have devoted my legal practice— James C. Provenza & Associates, PC in Glenview, Illinois—to helping people and organizations in the area set up and manage their taxes, estates, and endowments to serve their best intentions. You will find that my rates are reasonable. I can often quote fixed fees on projects, and I always try to estimate the cost of a project before you authorize the work. Whether your aim is to help your family or the broader Chicago community through acts of kindness and public service, let me help you take the most effective steps toward goal. You can call my office at (847) 729-3939 or fill out the contact form on the right to get started. 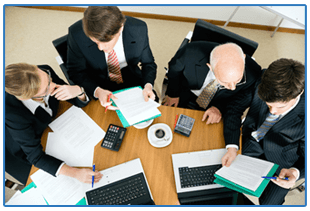 As a certified public accountant (CPA) as well as a lawyer admitted to the Illinois bar, I am in a particularly advantageous position to advise you on the tax implications of specific organizational structures, contracts, fundraising procedures, and charitable donations for your nonprofit. Whether you’re just forming your organization, are considering restructuring, or are dealing with the intricacies of soliciting and accepting donations, I can help you make sure as much of what you raise goes where it should – into the hands of those you’re helping and not to the IRS. My unique combination of professional experiences also help me to offer you practical, efficient solutions in estate planning, from protecting your assets through trusts to planning for end-of-life care through Powers of Attorney and probate administration. For help forming and growing your nonprofit or for estate planning advice from an experienced legal and tax planning professional, I invite you to contact my office today at (847) 729-3939 or fill out fill out the contact form here and I’ll call you back as quickly as possible.